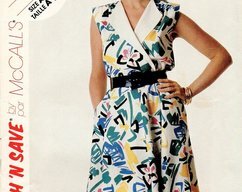 1980's Butterick 4190 Vintage Sewing Pattern. 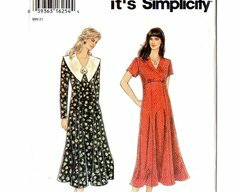 Misses Dress: Loose fitting dress three inches below mid-knee has V neckline, front button closing, Bertha collar, elasticized waistline, side seam pockets and full length sleeves gathered into buttoned cuffs or short sleeves all gathered at caps. 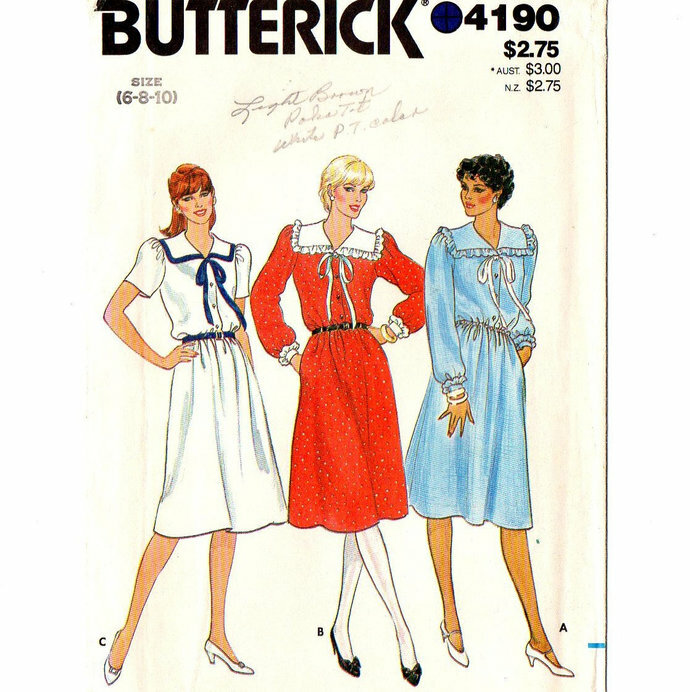 Purchased belt and ribbon ties.